The women's race set to be held in Madrid before the final stage of the Vuelta a España looks likely to go ahead, but will any of the top teams be present? Despite initial rejection by the UCI, a women’s race coinciding with the final stage of this year’s Vuelta a España, is apparently back on the calendar. An article on the website of Spanish newspaper AS suggests that the governing body has verbally agreed the event with the Spanish cycling Federation, RFEC. In October, organisers of the Spanish race announced plans for their event to run along similar lines to La Course at last year’s Tour de France. However, when the UCI published its calendar of sanctioned events, the race, apparently titled La Course by La Vuelta and planned for the streets of Madrid, was missing. 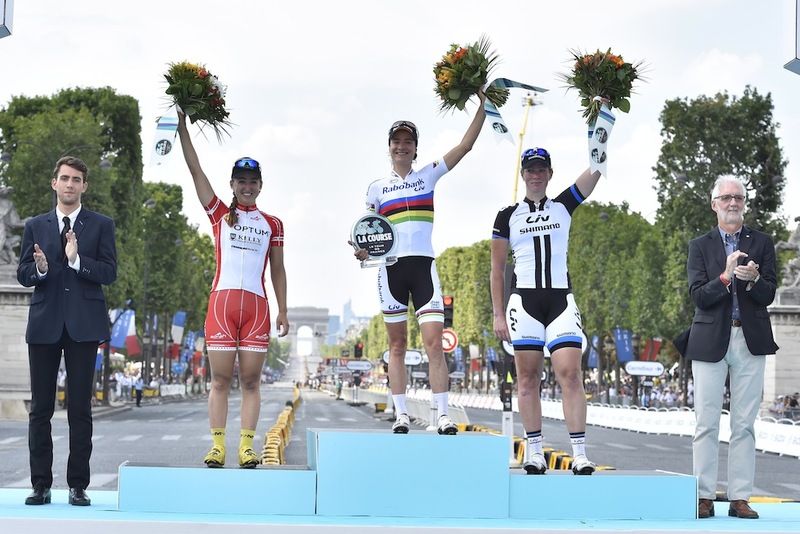 The race was rejected by the world governing body due to clashes with other more established events, such as the Lotto Belgium Tour and the Giro Toscana Femminile. In December, seeing the Spanish race as a threat to their own, organisers of the the Lotto Belgium Tour changed their race dates. Both the prologue and team trial have been cancelled to allow the event to finish on September 11th, two days before the Vuelta takes to the streets of Madrid. The Giro Toscana has recently fallen from favour with teams following some organisational difficulties. Whilst the event is not yet confirmed by the UCI or race owners, ASO, participation of the top teams is not guaranteed. “At this point the race is not yet on our calendar,” Koos Moerenhout, team manager at Rabo-Liv told Cycling Weekly. “That day, the Team Time Trial team is scheduled to leave for Richmond [USA, for the World championships],” the former Dutch road champion added. Cycling Weekly has spoken with two other team managers, both of whom expect to be travelling to America, not racing in Madrid on September 13th. The AS article suggested some teams had threatened to sue the UCI over the cancellation, feeling it was unjustified and would damage the progress the women’s sport has made. Cycling Weekly has been unable to confirm the threat of legal action.